Once the universal symbol of nobility and wealth, the signet ring had faded into obscurity over the past quarter of a century, with many feeling that they were unlikely to make a return. They have, however, done just that recently, and signet rings have become the must have fashion accessory for the younger generations. But, with this in mind, why are they popular, and are they popular enough to be considered as a good Valentine’s Day gift for your man? The desire for ‘street cred’ and style among teenagers has never been higher. Almost every technological breakthrough has become a must have item for teenagers and twenty-something’s; and products such as iPhones have been used to drive the sale of signet rings through the roof. Signet rings are individual due to their incorporation of a family crest and, to make the design process easier, companies such as www.rebussignetrings.co.uk have launched an iPhone app so that you can locate your family crest in a matter of moments. This has widened the market to attract younger people, and they have engaged in their droves. As well as the influence of technology, the increasing popularity of genealogy has also been a factor. Hit television shows such as ‘Who Do You Think You Are?’ have catapulted genealogy into popular culture and people are keener to learn about their ancestry than ever before. In addition to this, genealogy has taken pride of place in schools, and it is now easier than ever to trace where you’re from and be proud of your family history. A signet ring is easily the best way of displaying such pride. 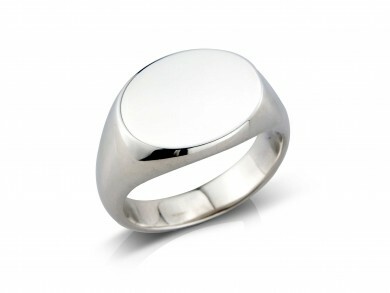 If your partner is a fan of genealogy and family history, a signet ring could be a thoughtful and interesting present. The Perfect Gift for Your Man? Despite the fact that signet rings are more in Vogue than any other point in the past quarter of a century, they remain an acquired taste. However, with Valentine’s Day just around the corner, an engraved signet ring really could be the perfect gift. Many men are attracted to the prospect of a signet ring because of its status as a family heirloom and now, with a wide range on offer, there’s definitely something to suit your man’s taste. If your man is a fan of family history and tracing their family tree, a signet ring is a great gift idea no matter what his age.